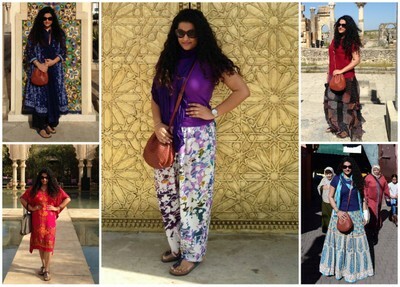 How to Look Modest Yet Fashionable When Travelling to a Conservative Country! 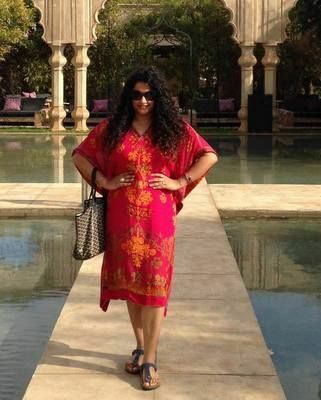 I stumbled upon several conflicting stories on the internet while browsing for “what to wear” when travelling to Morocco. 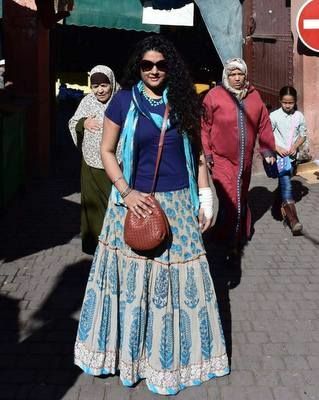 While some travel blogs listed stories of women being harassed for not being conservatively dressed, others stated that even local Moroccan women dress in Western attire in the big cities. I did my research and felt it was best to dress modestly, in what is considered to be appropriate accordingly to the norms in the country. As it is important to respect the sentiments of the local people when visiting a place. 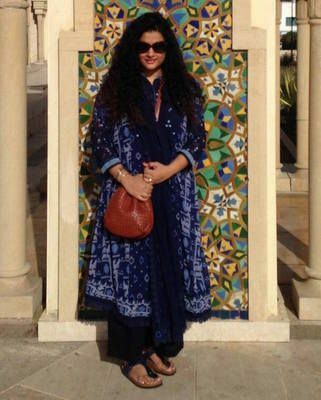 Having just returned from Morocco, I am happy to share that the people are very friendly and that I did not face or see any harassment issues over attire. However, I dressed in my conservative best and highly recommend that you do the same. 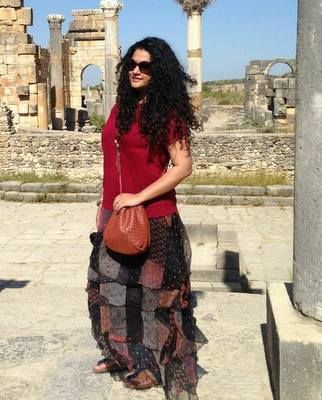 Now dressing conservatively or modestly, does not in any way mean boring. 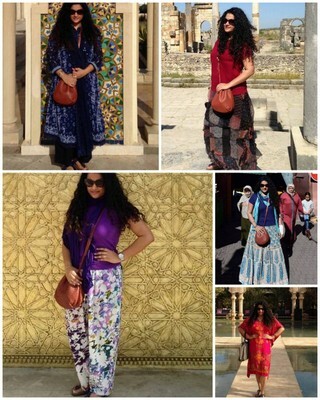 Here are a few looks that I put together for my holiday. If you are travelling to a country that is very strict regarding the way women dress, you can easily recreate these looks by mixing and matching pieces from your own closet. 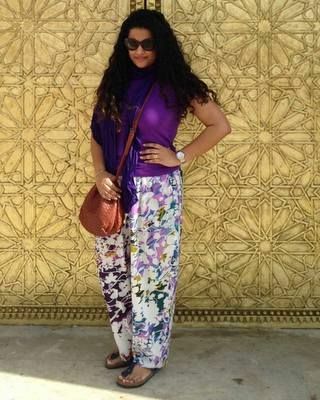 Be it a salwar kameez or a kurta with pallazo pants, its cool, comfy and all covered up. The stole comes in handy while visiting a monument where you need to cover your head. Pair a playful maxi skirt with a solid colour top and statement accessories. A flared skirt works best with a well-fitted top, so make sure you drape a stole over it. Again a loose-fitting garment that can be worn with or without the tights. Best to ensure it falls below the knees. Select a vibrant colour in an interesting print for some beautiful pictures. Recommend buying ones made of natural fabrics. Relaxed pants are also great to wear on flight on during long drives.